The grocery store is how we get healthy food home. I would argue- If you don't buy healthy food- YOU won't be healthy. Don't worry. Healthy grocery shoppers are not born, they are made. 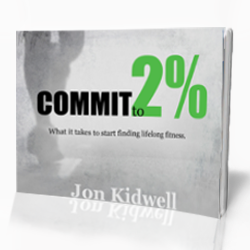 I struggled being a healthy shopper for the better part of 2 years after I started focusing on being fit. 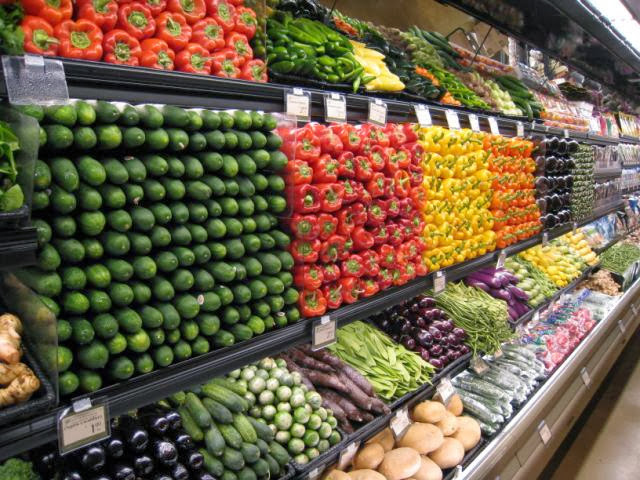 When grocery stores look like this, who wouldn't struggle? I had NO idea how to shop healthy. I'd never done it before. I was drawn in to the pretty packages. The marketing mumbo-jumbo (fat-free, calorie-free, sugar-free). I knew nothing about nutrition labels. I was clueless! I hope this beginner's guide to grocery shopping will help you avoid the same mistakes I did. Wandering aimlessly just throwing things in the cart. Buying the same foods for no other reason than you know where they are. Staring at nutrition labels trying to figure out if it is a yes or a no. Buying fat-free, sugar-free, zero calories automatically thinking it's healthy. Getting as much health food as you can, get home, and say- "I've got nothing to eat!" Been there, done that, and put it all in my re-usable bag. What foods to shop for. The goal is to buy as many REAL foods as we can. This means we shop and buy for foods that are grown, raised, harvested, or caught and are still as natural and fresh as possible. Here's the easiest way to check if it's REAL food or processed food. Avoid foods that are boxed, bagged, or packaged. They have gone through a process to get in that transportation container. Therefore, processed food. If at all possible, skip these. If you must buy something in a box- keep these in mind. 1. If you can't read a word or don't know what it is don't buy it. If you found something and didn't know what it was would you eat it? Didn't think so. So don't buy it! 2. Buy processed foods with no more than 5 ingredients. 3. Avoid foods high in sugar (or sugar substitutes) and salt (sodium). On the ingredient list, if either of these are in the top 3- It's not meant to be. Here's some food for thought for first timers. Don't feel that you need to ditch what you eat and buy 100% REAL food right now. Don't get me wrong. You need to start switching over. BUT be smart. If you trash everything you know and buy all new food it will not end well. You may even end up eating at McDon'tAtAlls. 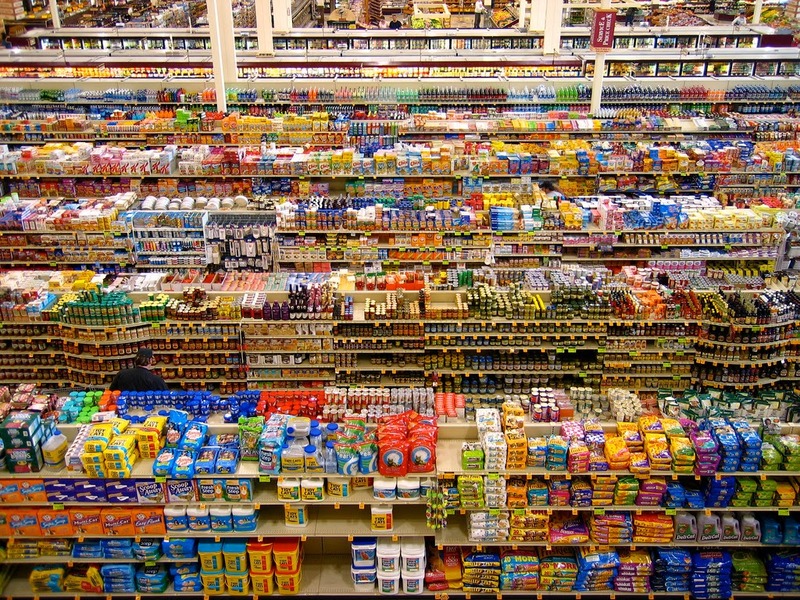 Try swapping out one processed food from your list each time you go grocery shopping. So that is approximately one small change a week. Totally doable! Eventually you will look back and forget you ever ate that way. Trust me, I did! What are some other simple swaps to start moving away from processed food? Share you ideas in the comments at the end of the article. Skydiving is all or nothing. To be successful at getting healthy focus on small steps in the right direction. Each one will gets us closer to our goal. Start in the produce section. This is where most of the shopping takes places. You have free range. Pick and choose whatever you'd like. You can, and should, fill your cart with SO much vegetables and fruits that you have little room for much else. Search for vegetables and fruits you know and love. Food you have an idea how to eat. Don't buy kale because I say to then stare at wondering what to do. Go in with a recipe that needs certain foods or a list of veggies and fruits you want for the week. Pick your produce by looking it over, feeling it, smelling it, and comparing it to the other ones in the container. Think like Goldilocks. Too hard, too soft, pale, or bruised are all giveaways that its not just right. You can buy vegetables and fruits as snacks, side dishes, appetizers, or as the main-course. Aim to eat more vegetables than fruits because they are typically more nutrient dense, have less sugar, more fiber, are more versatile for cooking, and sustain hunger for a longer period of time. Second stop is the meat market. The deli, the fish market, the meat market. I know the lines are long and the number machine never works, but waiting for fresh, quality proteins pays off. Protein is a MUST in any meal or snack. I rarely have a meal or snack that does not contain protein whether it be animal or plant (nuts, beans, quinoa) protein. Protein helps to build and repair muscle. Protein is also broken down slower in the body making us feel fuller longer. First stop by the fish counter. Wild caught is where it's at for fish. Wild caught, fresh, never frozen is ultimately the best option. Houston has that option. Mattoon, Illinois may not. Fresh never frozen can be bypassed. Wild caught should not. Farm raised means they were fed a hormone enriched diet and swam around in fish poo. Not good for you! If you swing by the deli counter for lunch meat, which is the only place you should buy lunch meat, read the deli nutrition. 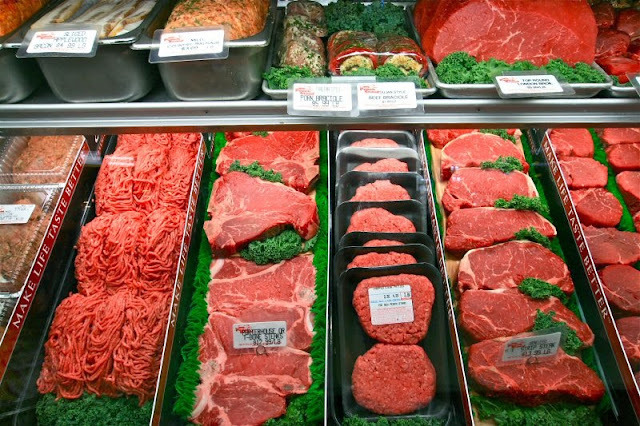 Some of these meats are packed with preservatives. Salt, sodium nitrate, or other "natural" solutions. Bologna! The best deli meat is the in-house no or low sodium meat. Steer clear of the extra flavor additives. Remember your just trying to buy lunch meat. That's why this is a 2 part-er. 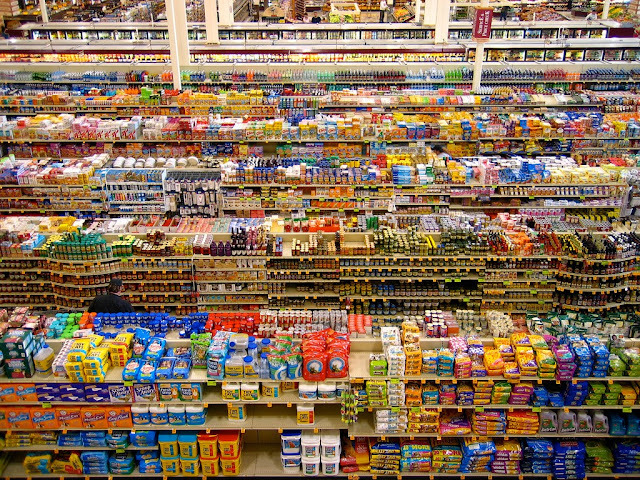 Part 2 will walk you through dairy, the bakery, bulk foods, canned foods, and other food to buy when grocery shopping. These sections will be smaller because a bulk of our time and food comes from the produce and meat sections and we've already covered those. What do you think about part 1? Are you already shopping like this? Do you have any questions? Do you have any simple swaps to share? I'd love to hear! Leave a comment below.